Pad thai is known all over the world, but there’s more to Thai food than noodles tossed with tamarind, lime and peanuts. Thai food is one of the most popular cuisines around the globe, and one of many delicious reasons to visit Thailand, a country that makes you want to embrace everything about it. Whether you’re guzzling local delicacies in the markets of Bangkok, tucking into the flesh of ripe fruit while the sun rises on the beach of an island, or inhaling a fragrant coconut milk laced curry bejewelled with colourful vegetables, this guide to Thai food is your epicurean key to unlocking a world of flavour. 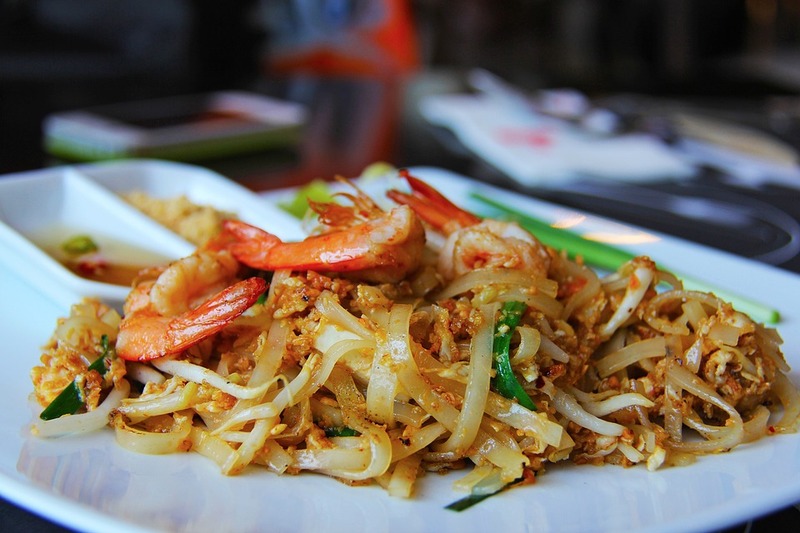 Throughout history, Thailand and its neighbours have all influenced each other’s cuisines. Up and down the country, cooking styles and methods are borrowed from whomever is across the border. 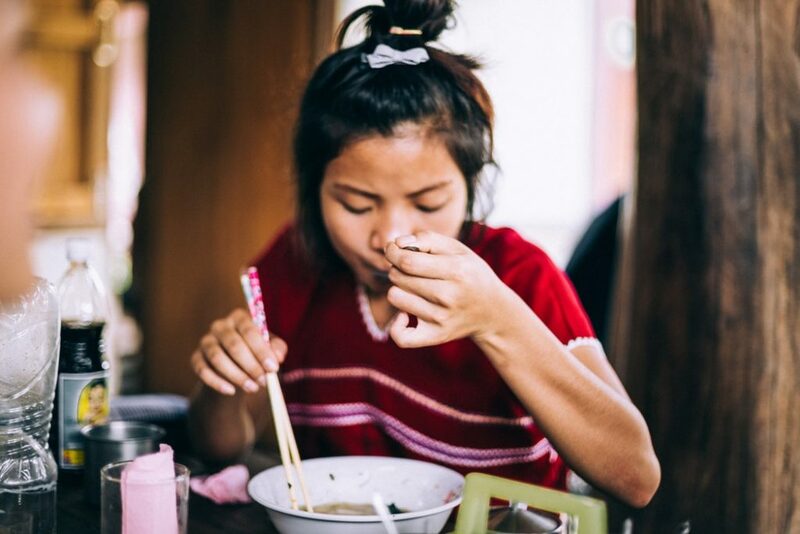 In the north, traditions from Myanmar, Laos, China, Cambodia, and Vietnam are married with local ingredients to create dishes that favour pork and seasonal vegetables. Recipes in the south of Thailand are evocative of India, Malaysia, and Indonesia; coconut-based dishes are simmered with spices are frequently used in those cuisines. The origins of many popular dishes in Thailand can be traced back to China, which first of which came to the country in the 15th century in the hands of the Hoklo people and then later in the 18th century via the Teochew people. Methods such as wok cooking, deep-frying, and stir-frying also came from China. As traders began to travel across the seas, Indian and Persian cuisines were introduced to Thailand and settlers from those regions brought the practice of implementing dried spices in cooking. Diplomatic missions from the West brought more innovations still, and the one ingredient which revolutionized Thai cuisine was the introduction of the chilli pepper from the Americas. While there are many things we associate with Thai food in general – the steam coming off jasmine rice, the extensive use of spice, the balance between different tastes — salty and sweet, sourness and bitterness — the cuisine varies all over the country. Thailand’s capital has always been famous for its abundance of street food, but Bangkok is also home to some exciting restaurants. The gastronomic scene here has evolved over time, influenced by other Asian, European, and Western tastes. Northeastern Thailand still remains somewhat hidden from the droves of tourists that visit each year, and a true taste of Thailand is easily found here. Bordering Cambodia and Laos, the dishes that hail from these parts are popular throughout the country but less known outside Thailand. The most notable ingredient is pla ra (fermented fish). Enjoy simple but flavourful food like gai yang (grilled chicken spiked with tart lemon and sugar) and learn the art of eating sticky rice with your right hand. The valleys and mountainous terrain in this region were once part of the Lanna Kingdom, and the traditional dishes are very different to the rest of Thailand. The style of cuisine found here shares traits with Isaan. 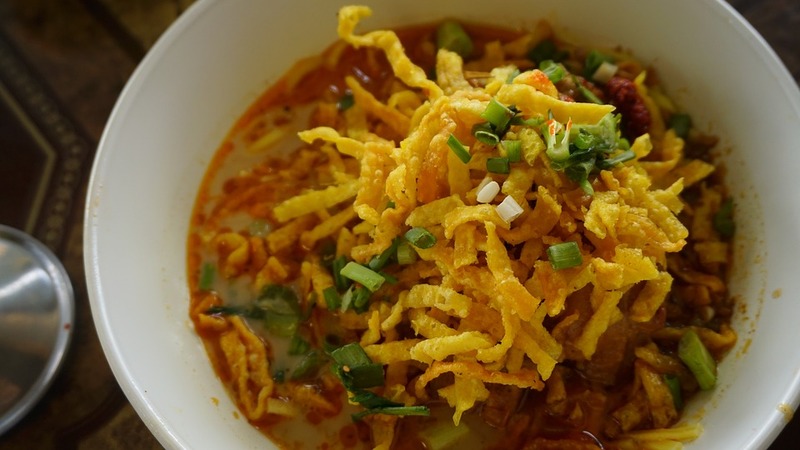 Some of the most popular dishes include sai oua (a spicy sausage made with pork, lemongrass and Thai seasoning) and of course, khao soi, a coconut milk based noodle soup that has roots in Myanmar and Laos. Encompassing the former kingdoms of Sukhothai and Ayutthaya, this central Thai region has the luxury of borrowing from all the areas that surround it. As a result, many dishes found in the north and south make their way here. Coconut milk features heavily in recipes. 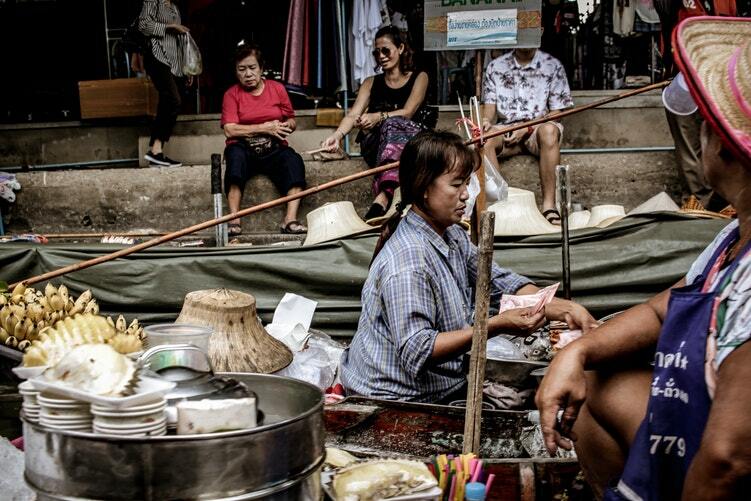 One of the most famous dishes in the world comes from here: pad Thai. South of Bangkok, you’ll find fiery curries. Some will be on the sweeter side, and some will make you want to mop your brow. Food in this region of Thailand have Malaysian and Indonesian flavours and ingredients. Famous dishes include Massaman curry and a Thai-style biryani called khao mok which is a specialty of southern Thailand’s Muslim community. The tamarind-flavoured noodle dish is a mouthwatering crowd pleaser, but whether you’re visiting Thailand or your favourite local restaurant, it’s time to get out of your comfort zone and take those tastebuds on a journey by trying something different! Tuck into a meat salad known as larb. Ground up meat (usually pork) is cooked and spiced with liberal amounts of chilli, lime and fresh herbs. This dish is considered the unofficial dish of Laos but eaten frequently on the streets of Isaan. 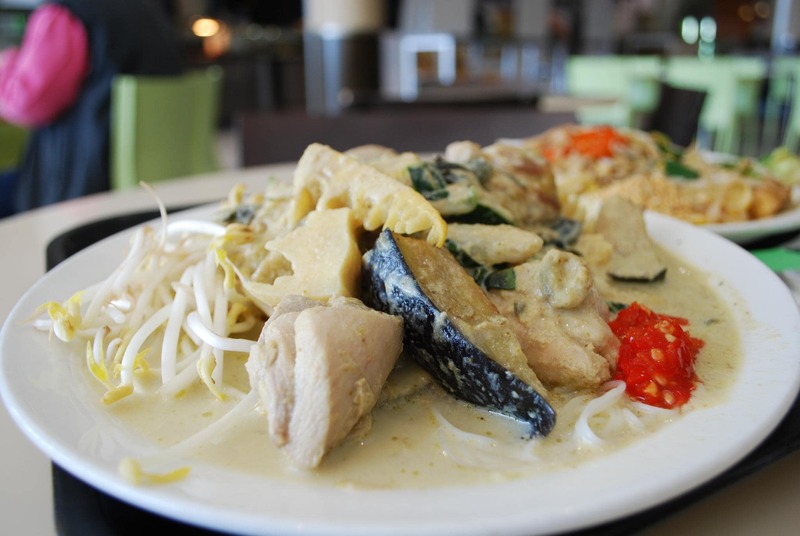 Break away from the typical repertoire of green curry with an aromatic massaman curry from southern Thailand. Ingredients like toasted cardamom, cinnamon, cloves, and nutmeg are toasted and fused with a paste of dried chili peppers, cilantro seeds, lemongrass, galangal, shrimp paste, shallots, and garlic to make the base of this meaty tamarind curry. Forget mango salad and try som tum instead — a spicy salad made from unripened green papaya. Pad see ew is a popular street fare in Bangkok, and if you’re looking to try a noodle other than pad thai, this is a good place to start. Cooking thick flat noodles in a hot work imparts a charred smoky taste you’ll want more and more of. Nam tok is the Thai word for waterfall and the name given to a dish which envelopes grilled pieces of pork and its residue juices with lemon, chilli, aromatic mint, fish sauce and toasted rice. Because of its cultural role in Thailand, there’s more to eating the country’s cuisine than chewing. 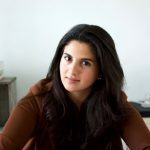 If you’re lucky enough to find yourself at a table laden with delicious food and a Thai host, keep these handy tips in mind! If you’re eating as part of a group, don’t order your own food. Meals are eaten family-style and meant to be shared; usually the elders at the table will order a variety of dishes for everyone to enjoy. If you really want to eat something, mention it to whomever is placing the order. If there’s something you can’t eat, politely say no and don’t put it on your plate! It’s customary to only add small amounts of food to your plate, but you can refill your plate as many times are you like until you’re satisfied — just leave enough in the serving dishes for others! Add a couple of spoonfuls from every dish along with sauce for some rice. Don’t use your left hand to eat or handle serving utensils, in Thai culture, this is a faux pas because the left is considered dirty. Don’t ask for chopsticks, as they are only used when noodle dishes are served on their own. Most dishes in Thailand are actually eaten with a spoon (held in the right hand) and a fork (held in the left hand) is only used to push food on to the spoon. Eat sticky rice with your right hand!